Before we hear Al Michaels and Cris Collinsworth announce the starting line ups for Super Bowl LII, before the Philadelphia Eagles and New England Patriots make their opening drives, before Justin Timberlake performs at half-time and before we tune in for 30-second commercials worth over $5 million each, Perry Paganelli ’80 will be somewhere in the depths of U.S. Bank Stadium in Minneapolis lacing up his black turf shoes and putting on his zebra-striped #46 uniform. Perhaps at this moment he will be thinking about how far he has come from history and education classes, baseball practices and football games on the campus of Hope College. Either way, it won’t be the first time he’s prepared to officiate football’s biggest game. In fact, making calls on the NFL’s biggest stage is a family affair. In 2007, Perry officiated with his younger brother, Carl, in Super Bowl XLI in Miami, when Tony Dungy’s Colts beat Lovie Smith’s Bears for the Lombardi Trophy. It was the first time in NFL history that two brothers had been assigned to officiate a Super Bowl game. Yet a third brother, Dino, also officiates in the NFL. Paganelli’s father, Carl Sr., also had a distinguished football officiating career and has trained more than 30 current NFL officials. 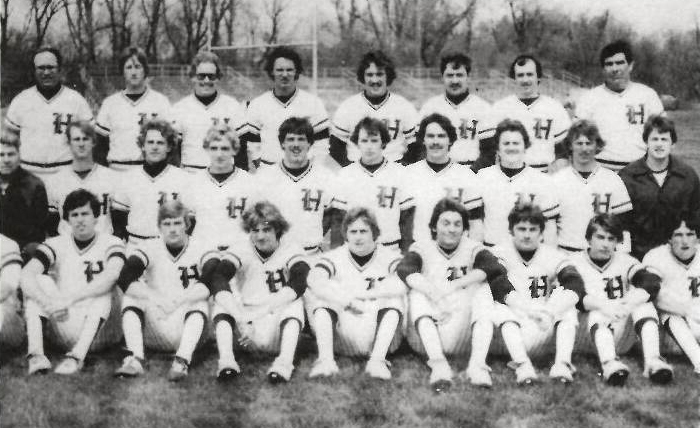 At Hope, Perry played football and baseball for the Flying Dutchmen while preparing for a career as a teacher. During his senior season, he led the football team in pass interceptions and achieved All-MIAA honors as a designated hitter in baseball. As an alumnus and varsity letter winner with a career in professional sports, he is one of Hope’s notable H-Club members. The Paganellis started their collegiate officiating careers in the Michigan Intercollegiate Athletic Association (MIAA), of which Hope College is a member. 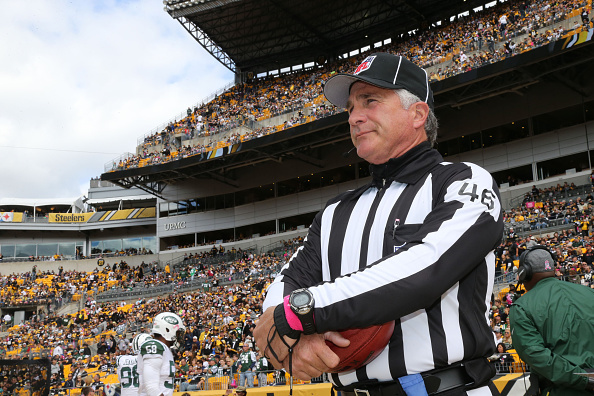 Perry, who resides in the Grand Rapids area and had a teaching and coaching career at Rogers High School, has been an NFL official for 19 seasons. Super Bowl Sunday will be his 300th career game. Tune in to see this impressive Hope graduate in action on February 4, 2018 on NBC at 6:30 pm ET. You can also read about another alumnus making calls under pressure in the big leagues. MLB umpire DJ Reyburn ’99 was featured in the April 2017 issue of News from Hope College.